This adorable lady doesn’t need explaining; I’m sure you already know who she is; it’s Bakerella, and she was in Toronto this past weekend! I can’t tell you how excited I was (actually we were), to hear she was coming; my friend Kim and I have been talking about it for weeks. Loved the shoes Bakerella – so Barbarella! Her mom, Sandy, was such a sweetheart too. 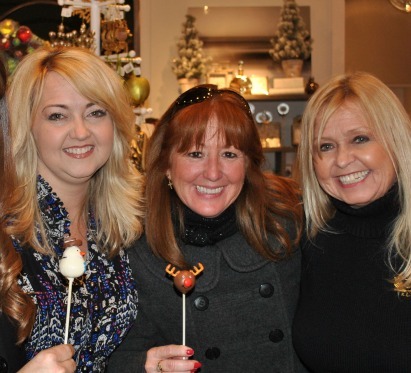 Here she is with Bakerella and Kim. 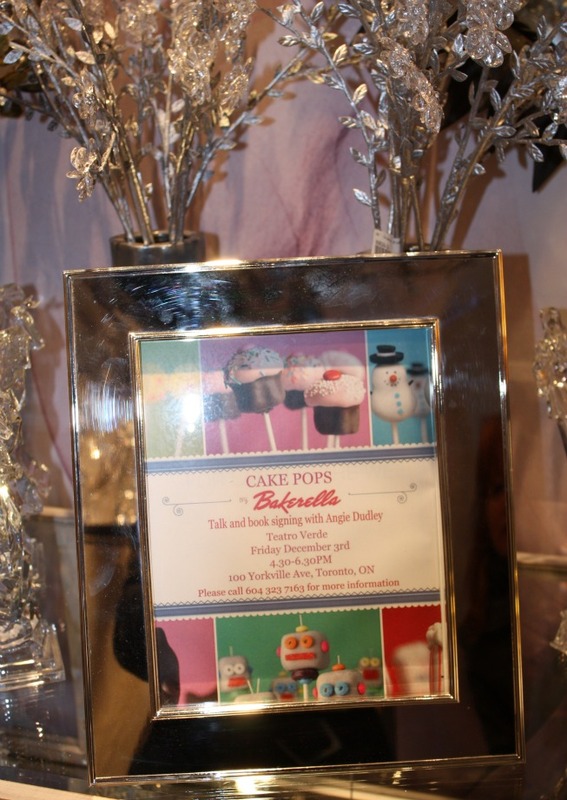 Of course we had to get some pics of the charming cake pops. They’re adorable and delicious! If you haven’t seen her feast-for-the-eyes blog Bakerella yet, you need to go check it out! 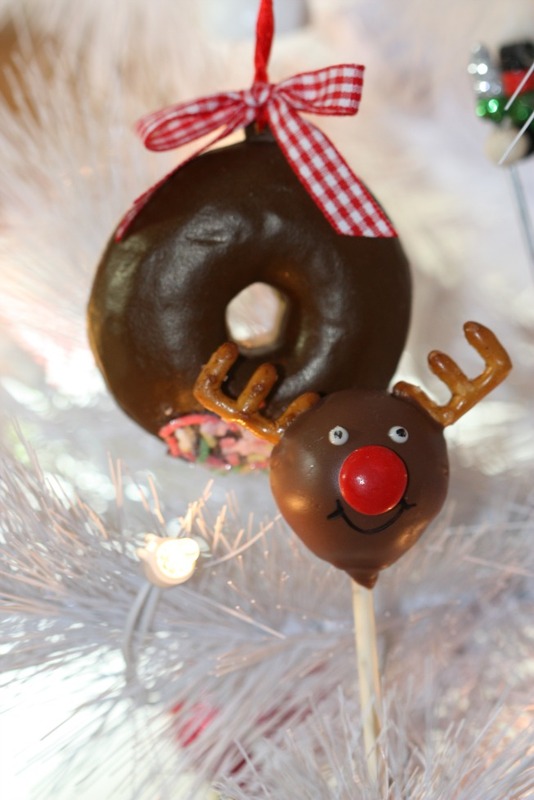 Angie’s site is full of amazingly creative sweet treats where she shares easy to follow visual how-tos and more. 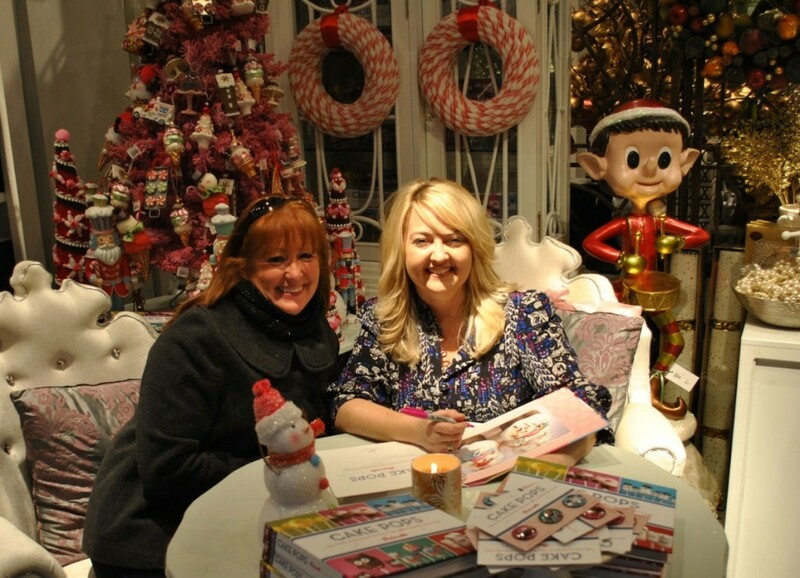 Here I am with Bakerella getting my Cake Pops book signed. 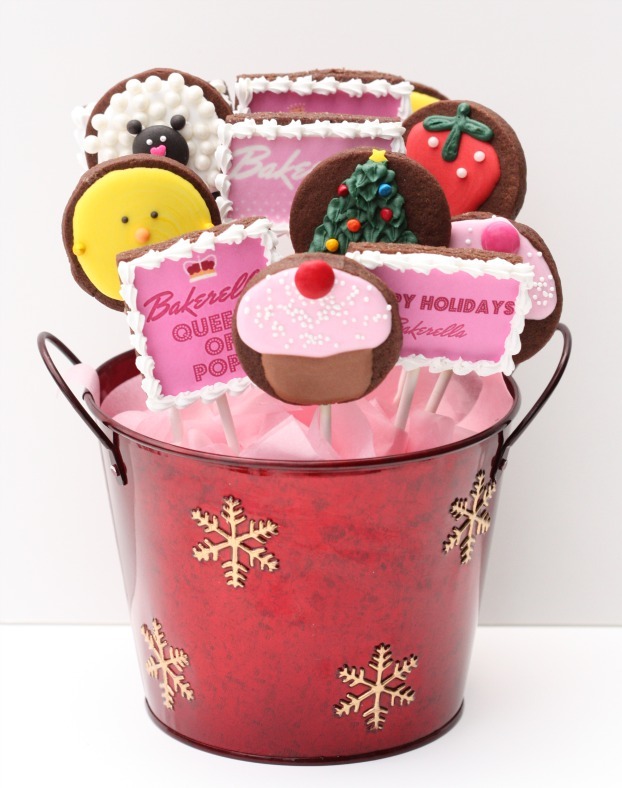 Some of Bakerella’s fans made her the cutest gifts; like these sweet ‘cupcake pop ornaments’. (I forgot to get your name but would love to chat with you. If you see this post please email me). Thanks to Bakerella for these cute cake pop buttons! I had fun making these cookies for Angie. 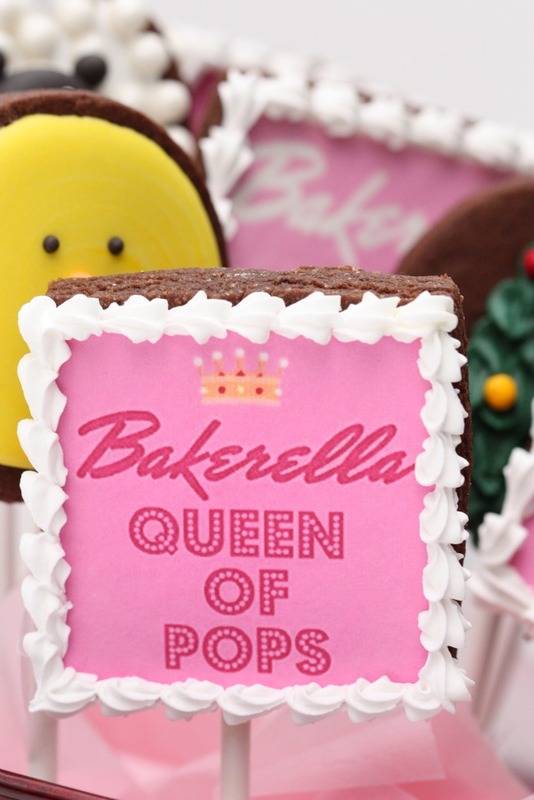 Cookie pops for the Queen of Pops. Bakerella, thank you so much for coming to Canada! It was so much fun to talk with you! p.s. For those of you who went to the Williams-Sonoma book signing on Saturday, I’d love to see pics if you’d like to share them on my facebook page here. SUCH an adorable post! Your bouquet is completely perfect. Love love love it! 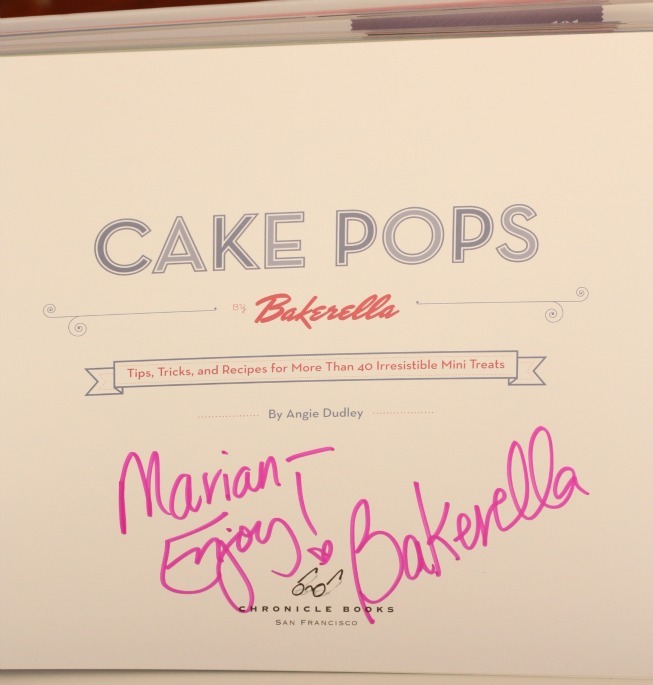 Looks like you all had so much fun with Bakerella! She must have loved your cookie pops! Love, love, love this post! You actually beat me to the punch! My post has the exact same title but I have not yet had a chance to post it. Rich and I were fortunate enough to be at Williams Sonoma on Saturday and there will be many pics on my site by Monday. We also hung out with Angie later that day…what a doll! Love your cookie pops. I need some lessons from you! Oh I love her and wished i could have gone, thanks for the great pics. Wow…my two heroes together!! Double wow!! Marian…I had a question too and this gives me the opportunity to ask! I am planning on making rainbow cookies using multiple colors of your royal icing recipe. Should I pipe the colors all one after another or should I wait for one to dry and then the next? Looks wise I will be OK with either look..but I wasn’t sure about bleeding. I plan to do a Purple, Blue, Green, Yellow, Orange and Red…not exactly VIBGYOR. Love it! 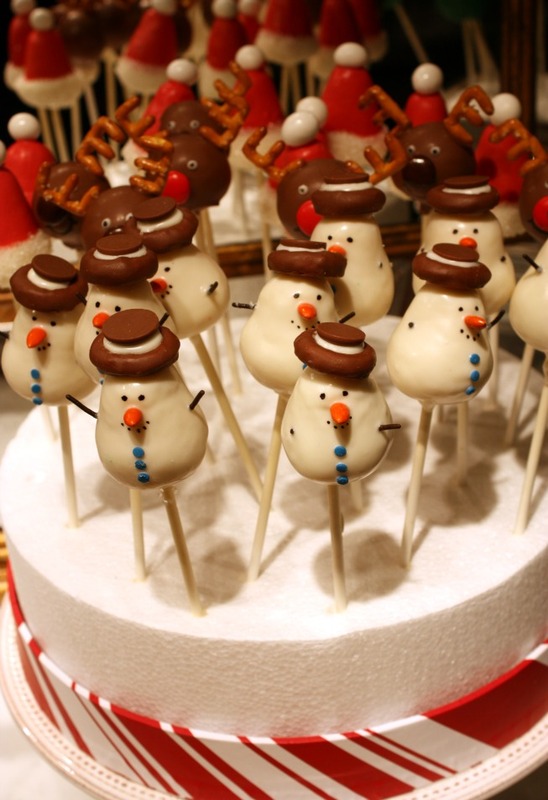 Cookies pops of cake pops has got to be some sort of life imitating art…or something like that! Aaahh why do i live so far away!!! (can you believe there only 2 sites where you can order decorated sugarcookies!) I can’t even get her book in the store, have to order it. Your husband’s proposal to you via Bakerella was just so thoughtful and sweet. That’s wonderful that you three got to finally meet! Looking forward to the post! I’d probably do one color at a time, letting each one almost completely dry before I added the next one. That’s just me though! 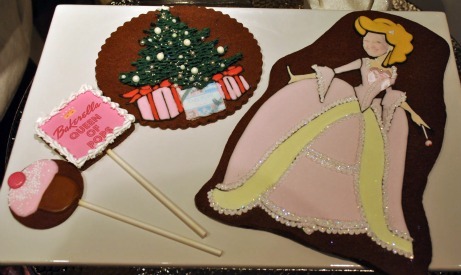 I had a great time with you Marian, as I always do….I know that you all don’t realize this but the pics do not do any justice at all to how absolutely beautiful the large cookie of Bakerella was…all the cookies for that matter! You are truly the best cookie decorator that I have seen! I totally agree with Kimmie. You are the best cookie decorator I have ever seen as well! I love how the dress on the large Bakerella cookie has an “A” for “Angie”. OR am I seeing things? Anyways, I’m glad you had a great time and found the time to post about it. I don’t think it’s cheesy at all. It’s subtle and totally works! OMG – did you put Angie (Bakerella’s) face on the princess??? That is soooo funny! 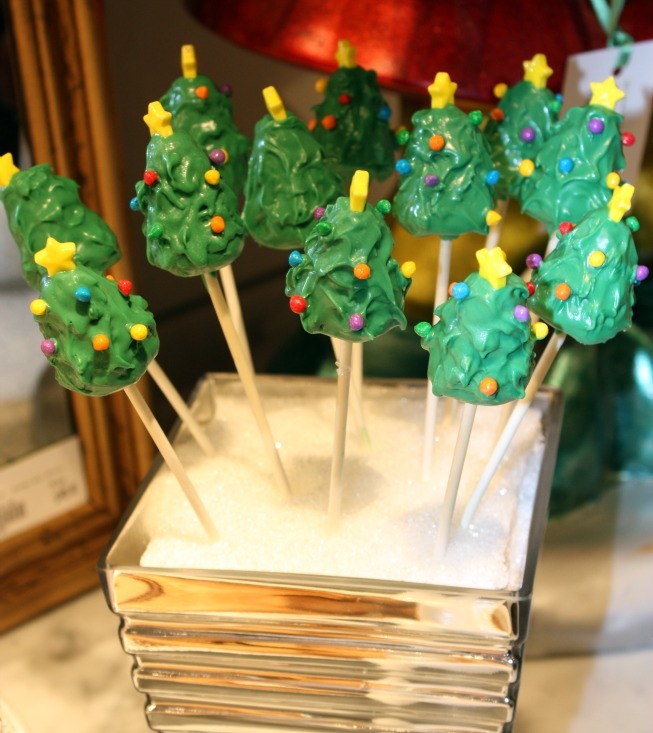 and the cakepop book as a present under the tree? heehee or am I not seeing it correctly. If so, than wicked cute idea! 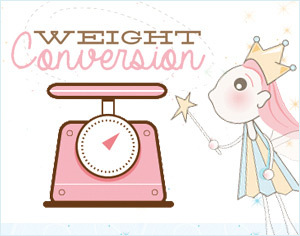 I am a newbie to your blog (just found it linkd to Bakerella’s site) and I think that your stuff is just fabulous!!! Hello Marian! I have been delving through Sweetopia for an hour now gazing at your site! WOW! It is BEAUTIFUL! 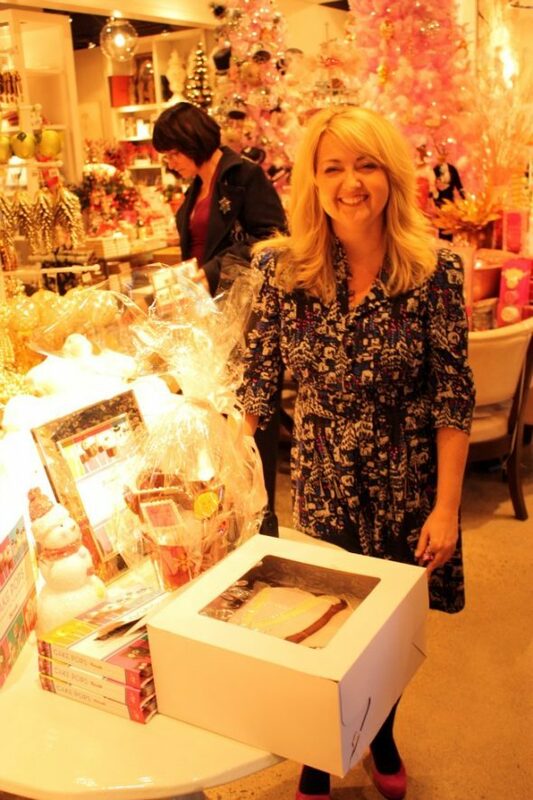 I also was on Angie (Bakerella’s) site and saw your email so I wanted to log on. So impressed with all that I have found! Wonderful site! Looking forward to coming back again! Those cookies are SO cute! And Bakerella’s shoes!!! LOVE!!! Could that girl be any more adorable?!? Marian…you look beautiful as ALWAYS! I love the post! 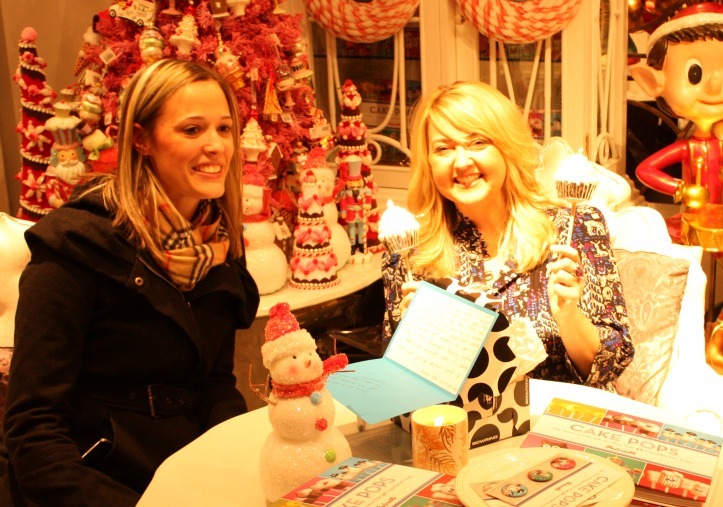 The Acts of Sweetness Team had the pleasure of meeting Bakerella when she was in Toronto as well, great time!